DETROIT -- Ratings agency Standard & Poor's raised its corporate credit rating on General Motors Co. by two notches, saying the automaker's new labor contract would allow for continued profitability and cash generation in North America. The ratings service revised up its credit rating on GM to BB+ from BB- and also raised its rating outlook to stable from positive. GM's S&P credit rating now is one notch below investment grade. 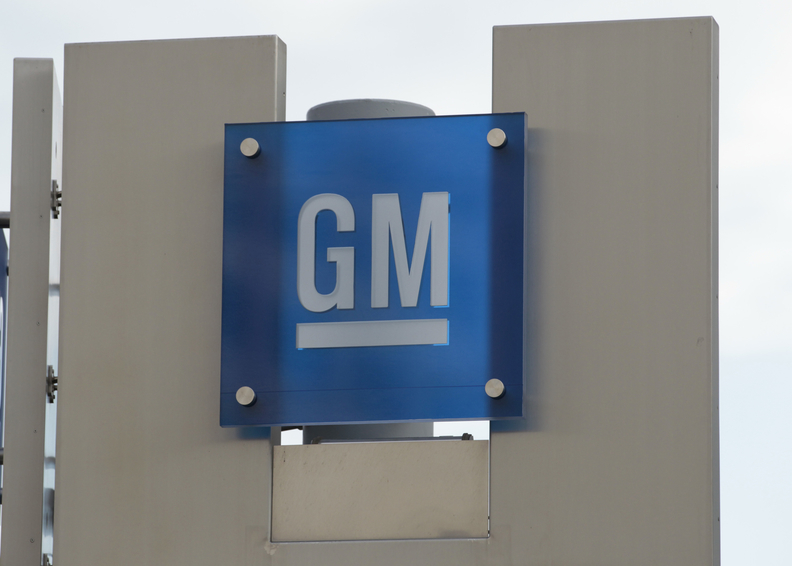 The upgrade comes a day after the United Auto Workers (UAW) union ratified a new four-year labor contract with GM, the first such deal for the top U.S. automaker since its 2009 bankruptcy. "GM has a two-year track record of profits and cash flow generation in its global automotive operations, supported by strong performance in North America," Standard & Poor's said in a statement on Thursday. GM said Wednesday it can break even with annual U.S. industry-wide light-vehicle sales of 10.5 million. The adjusted U.S. sales rate in August was 12.13 million vehicles. GM Chief Financial Officer Dan Ammann said: "We are pleased that S&P has recognized the progress we are making. Our fortress balance sheet and low break-even point are helping us succeed even in uncertain economic times, so we can stay focused on building great products and driving profitable growth around the world." In a separate statement, S&P said it would consider a ratings upgrade for Ford Motor Co. after it completes negotiations with the UAW. If so, Ford's rating would be raised from BB- to BB+, S&P said. "In February 2011, we noted several assumptions for Ford to reach a higher rating, including certain levels of margins and cash generation, along with acceptable completion of UAW labor negotiations," S&P said in a statement. "In our view, the company's performance in 2011 has been consistent with those financial assumptions and, based on reported details on General Motors' recent contract, we believe we are likely to view Ford's new contract as acceptable -- meaning that the outcome would not affect Ford's ability to remain solidly profitable in North America." S&P added: "At the same time, we believe there is some risk, albeit modest, that any Ford agreement would be unfavorable to continued profitability or would not be ratified and would need to be revised. If either of these scenarios were to occur, any upgrade could be less than the expected..."
A spokesman for Ford released a statement that called the S&P decision a "positive step." "Ultimately, the credit rating agencies determine when we return to investment grade," the statement said. "Our job is to stay focused on making progress on our plan."